Today, ten years ago, the first easyJet flight landed in Tallinn, which arrived from Berlin at the time. That same year, in the last days of October, the British low-cost airline also launched direct flights to London Stansted Airport. It was a symbolic and significant achievement as the easyJet was the first low-cost airline, which started flying to Tallinn. The jubilee flight was celebrated with cake ceremony. 8 year old passenger Agnes cut the huge cake, which was offered to all easyJet passengers. 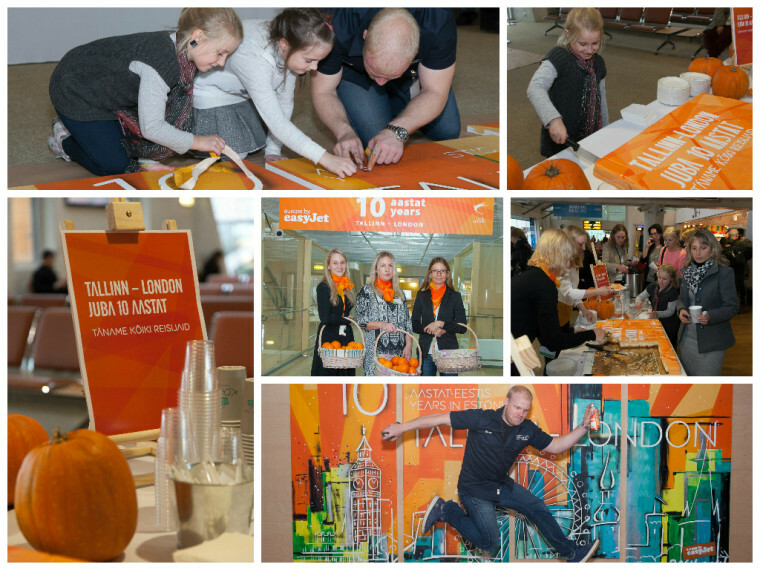 The event was celebrated with a modern work of art, created legendary streer artist Bach in front of the passengers, “10 years from Tallinn to London” which remains to decorate the Tallinn Airport passenger terminal. Today, easyJet has flown in and out of Tallinn more than one million passengers and that with nearly 8,700 flights. easyJet currently operates from Tallinn to London Gatwick Airport four times a week. Tallinn is also the only airport in the Baltic States, where easyJet flies. Over the past ten years, easyJet as a carrier has actively developed. The number of planes of the Europe’s second largest low-cost airline has grown from 92 to 220, the number of passengers from 24.3 million to 60.8 million passengers in a year. We can only hope that we will see easyJet aircrafts another ten years in Tallinn Airport – more frequently and increasingly.